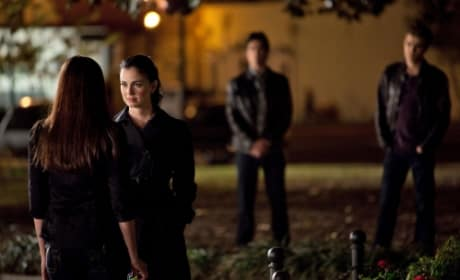 As Damon and Stefan look on, Elena meets her birth mother in this scene from "Isobel." The encounter doesn't go very well. She's back! Mia Kirshner poses here as Isobel, a character central to the lore of The Vampire Diaries and one who returned to close out season one of the show. 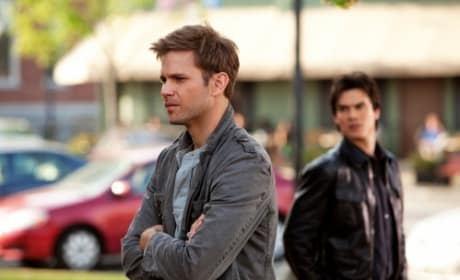 Alaric fits in very well on The Vampire Diaries. Near the end of season one, he must deal with the return of his wife, Isobel. 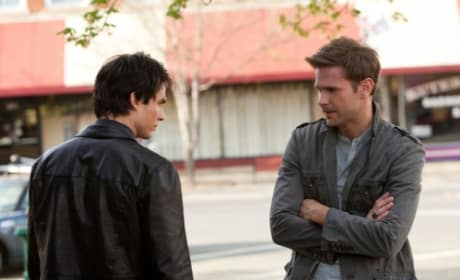 Pictured here, in a scene from "Isobel:" David Anders as Johnathan Gilbert, Steven R. McQueen as Jeremy. 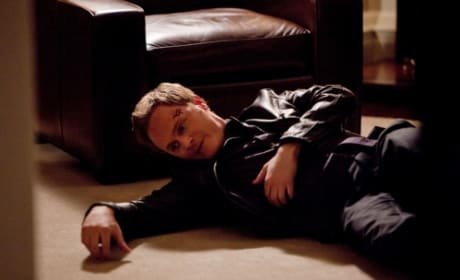 Uncle John is down, but not out in this scene from The Vampire Diaries. It's courtesy of the episode "Isobel." Don't you know not to cross Damon, Isobel? The former has the latter in his clutches in this scene from the 5/6/10 episode of The Vampire Diaries. Upon her return to Mystic Falls, it doesn't take long for Isobel to get Damon shirtless. Many female fans hate her even more now. Before season one is over, Elena will be reunited with her birth mother. This is your first look at the pair together.